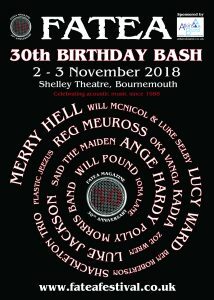 The venue is now confirmed: The Shelley Theatre, Boscombe. I am pleased to be part of this celebration of 30 years of a great organisation. Somerset based singer-songwriter Reg Meuross represents contemporary folk writing at its best, with that rare gift of being able to touch people through his songs and performance, on a really human level. His words and music paint pictures that remain with the listener long after the song has been sung. This concert is part of the Reg Meuross Two Albums Tour, encompassing two album releases: Faraway People and Songs About A Train. These songs comment bravely on life as he sees it, bringing wide-ranging stories, from the ravages of austerity and the injustice of the plight of refugees to some of most beautifully disarming lyrics ever written. 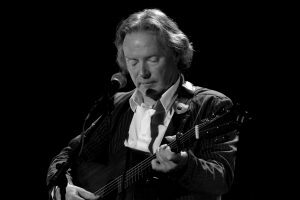 Reg is a true modern troubadour, as comfortable gigging in village halls and folk clubs as he is playing the Royal Albert Hall and huge festival stages. He consistently entrances his audiences with songs of life, love and injustice, soulfully delivered with melodic tenor vocals and exemplary guitar playing.